My trip to New York last week was more than just a week with family (which was wonderful). It was a time to be with my people, as Shauna Niequist would call them. The Ideals, my Bible study group from when I lived in California, decided to have a Fall retreat at my parent’s place and there was no way I was going to pass up the chance to a. go to New York again and b. spend time with some of my favorite women! 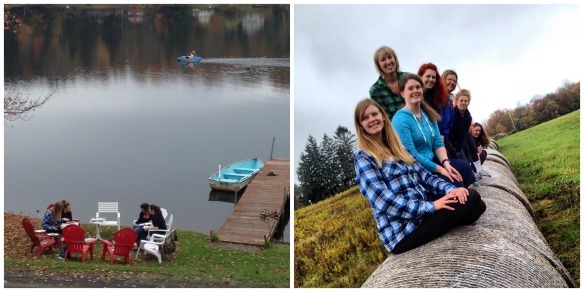 It was refreshing to laugh, study Psalm 31, and do autumnal things together, even if it was just for a few days. I’ve never been one to have a large group of friends, just a few really tight ones. Maybe that’s why I really resonate with Shauna when she talks about “her people” in Bread and Wine. They are the close ones. They are in the muck and mire of your messy life – cheering, crying, correcting. Since I like consistency, I struggle with the fact that some friendships are seasonal. Not seasonal in a flaky way, but seasonal because life circumstances change. Aside from my one life-long friend, I met my first people in college. Kayla, K, Nat, Brit – these women did life with me in a very formational time. One of the worst parts of graduating and moving back to California (I attended William Jewell College) was knowing they wouldn’t be daily part of my life. Even though I keep in sporadic contact with them, I know God gifted them to me for a specific season. Getting older doesn’t make the seasons in friendship easier. I’m thankful that despite another geographic gap, my California people are still my people from afar. I could call (most likely text since I hate talking on the phone), or email them for any reason and I know they’d be there with prayers, ears, and a virtual hug. However, it’s important to be known where you are, too. Finding your people isn’t easy. And it takes time. I fee like I’m in the in between, loving and missing my people (who will always be my people) and in praying for people in the present. 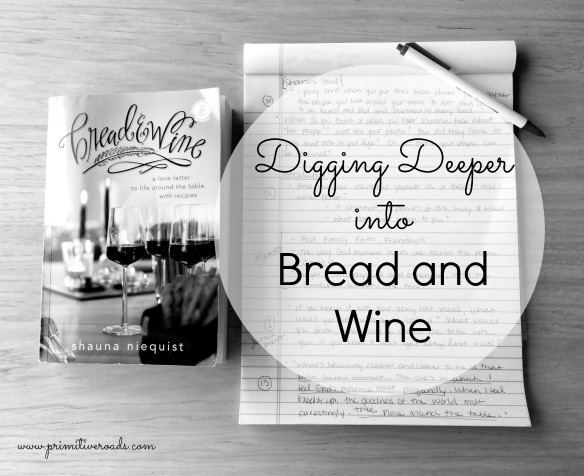 Here’s an expanded discussion guide for Part One of Bread and Wine. (Read the original post if you were wondering why the heck I’m writing a discussion guide for this book). PS: Shauna talks a ton about her people, especially in What The Table is For. Who are your people? 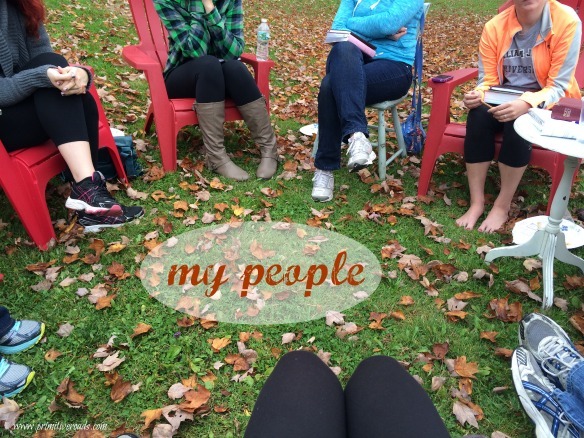 Have the seasons of your life influenced who your people are? I totally feel ya with the thoughts on friendship! And I wanted to tell you I like the new look of your blog. :) Happy Wednesday!